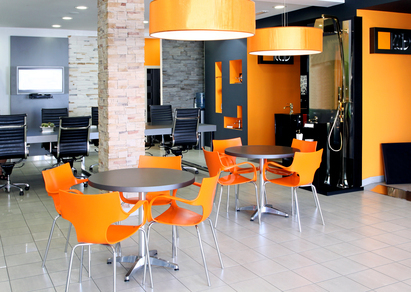 Organisations spend large amounts of money on commercial buildings and interior design concepts. Flooring is always part of the deal, as part of the overall image. With the rapid weather changes, it is obligatory for business owners to keep up with the proper office cleaning and maintenance in each season. Hiring a commercial cleaning company comes with a wide range of benefits, from saved productivity time to reduced safety risks. It is essential to embrace and implement a customised office floor maintenance program to ensure the floors are preserved and their life is extended. Poorly maintained floors tend to affect a facility’s image adversely, and lead to the waste of huge amounts of money on misdirected cleaning. Poor maintenance also reduces the performance of the product and accelerates the need for a replacement. Professionals can revitalise, clean, and restore the floors by customising a program that suits your budget and needs. Commercial cleaning services ensure the accumulation of dirt and grime that could potentially damage your flooring is prevented. With the many commercial buildings, there are today, multiple floor coverings that need special maintenance and cleaning feature. This can be very challenging for various reasons. One, there are different types of machinery available on the market today, all from different manufacturers. It is vital that top grade cleaning and maintenance equipment be chosen. The other factor is; will the machinery be moved from one site to the other or is it stationary? Professionals understand attachment variations of each type of machine, keeping it in mind that the wrong type of brushes or abrasives could quickly damage a commercial floor. Also, understand that using the wrong chemical pH levels on the covering of your office floor could lead to an irreversible damage. Indoor quality air can cause absenteeism, lost revenue, and lost production time. Poorly maintained floors attract the build-up of microorganisms and increase the amount of particulate, thereby deteriorating the working conditions. Instead of dissipating valuable productivity, it is necessary to hire commercial cleaning services to save time spent on cleaning large establishments while other business-oriented matters could be handled. Understand that being a business facility with varying floor sizes, there could be different floor types that are not all cleaned the same way. Professionals have experience, leading technology tools, and products for each floor. Business owners must always consider the safety of their employees and visitors when it comes to their establishment. During rainy seasons, for example, high traffic areas including hallways, cafeterias, and major entrances can be major scenes of falling or heavily covered by mud and dried residue. As such, it is only important to hire a professional cleaner. Maintaining the appearance of your office floor goes beyond choosing the right cleaning method. The right products for each floor weigh heavily on the performance of your floor. This is why professionals must be involved to assess the layout of the facility, the traffic patterns and the hours of operation for proper maintenance.